Tax Day, love it or strongly dislike it, here it comes. 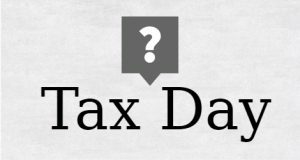 This year, we have our normal tax deadline of April 15, 2019. Do you have to pay this year? If so, did you budget appropriately for that? Are you getting a refund this year? If so, what are you doing with your refund? Paying off debt? Using it as a down payment for a new home? In 2019, homes can still help with deductions – calculate your approximate mortgage interest tax deduction. Purchasing an Investment Property? Filing isn’t only about paying in or getting a refund. If you’re self-employed, being approved (or not) for a mortgage highly depends on how much income you showed. Tax Day 2019 could mean the difference refinancing or purchasing a new home. Is now the right time for you to receive a mortgage pre-approval? Posted in Events, Holidays and tagged last day to file taxes, tax day, tax day 2019, tax deadline, taxes due.